o(≧▽≦)o This is the last post of the year I remember when I started my first post last year. I am very happy to have learned so much about one of my passions like the makeup. I really learned a lot from this community of "bloggers" I improved a lot. I must admit that I must give my thanks again for giving me my camera Kokoro'm super grateful and feel it was a blessing to move forward with this project. This project is my personal journal my way to express myself and how I see the makeup. 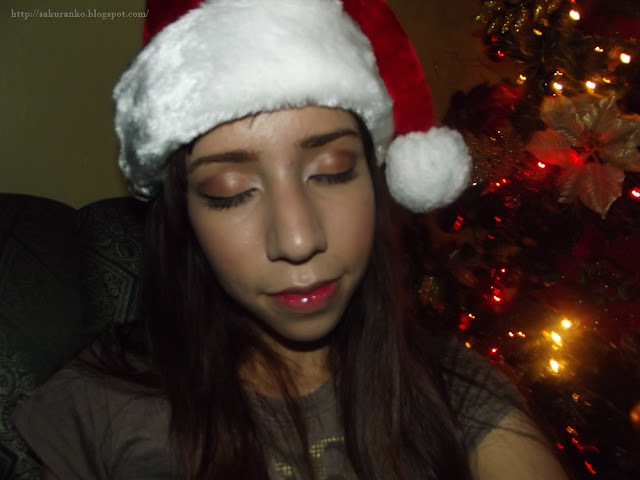 In this post I will show you my favorite makeup products of the year. (ﾉ≧∀≦)ﾉ, While I review several not all were my favorites. And I think there are some favorites that I have not posted: review but just show you. - Lioele "BB Cream Beyond the Solution". - Skin79 Super Gold VIP BB Cream. Regarding Lioele "Beyond the Solution BB Cream" is one of my favorite BB Cream has used it quite xcelente coverage when an event or something important. 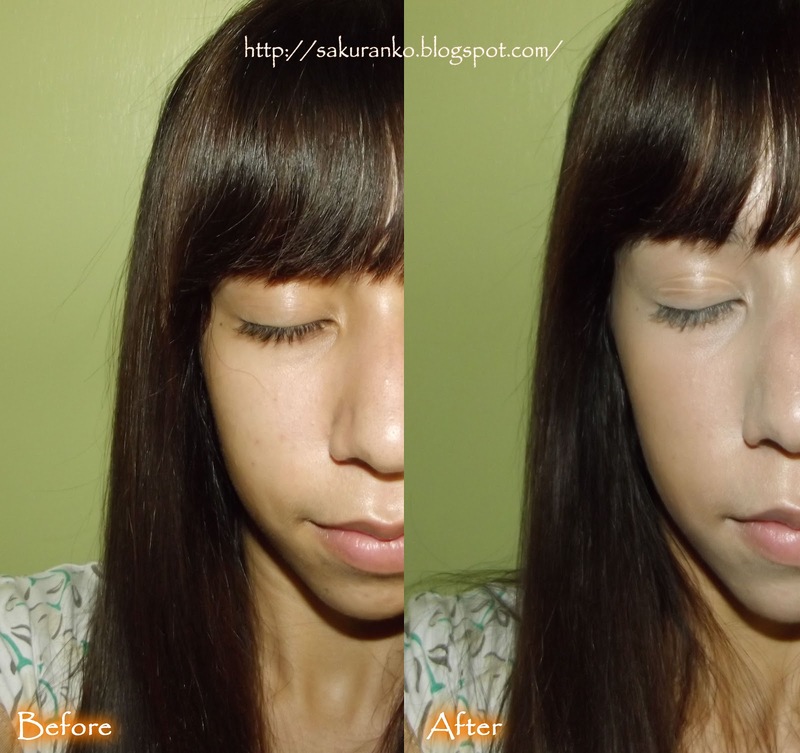 The BB Cream Skin79 VIP Gold used it almost daily to go to college (and I'm sorry I have not done the respective review). - VOGUE Black Liquid Eyeliner. 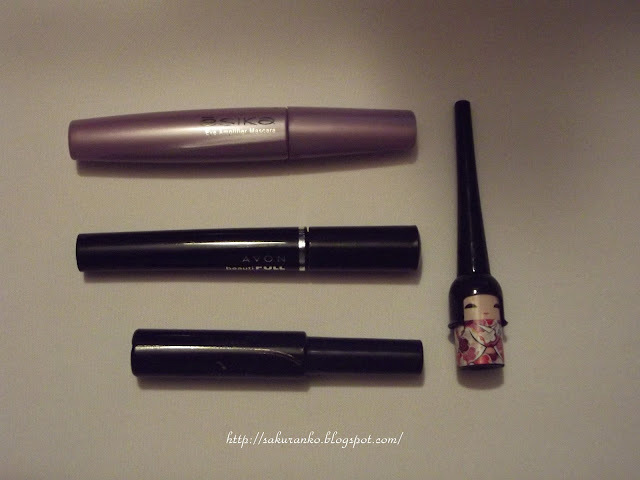 - Japanese Doll Liquid eyeliner. The Esika mascara is one of my great favorites because it gives my lashes quite voluen (and I usually do not use eyelash curling). (´∀｀)♡ The Avon mascara called "Beautifull" is really great because it gives a natural and easy all day. I like this liquid eyeliner called a Colombian brand and Vogue, and my Japanese Doll Liquid Eyeliner. 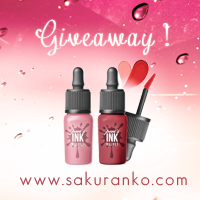 - EOS Lipbalm "Strawberry Sorbet"
- CyZone MAD 4 Color "Cherry Souffle"
- Esika Ezensi Color "Rosa Soul"
- Esika Lipstick "Rosa Fiorelle"
ヾ(´▽｀;)ゝI must admit it was quite difficult to choose which of all my lipsticks were my favorites did not want to put a lot of lipstick because I like most. This year I missed quite the lipgloss and lipsticks mostly used. Well there saw my list. They look much darker than the really and I think that is due to the flash and to take photographs of the night. The first from right to left is one of my favorites I used it mostly for dating my Kokoro and love the bright pink as is, CyZone MAD 4 Color "Cherry Souffle". I took my second favorite lipstick by the frequency with which they were used and there appears Esika Ezensi Color "Pink Soul" I used it almost daily for college looks very nice and natural. 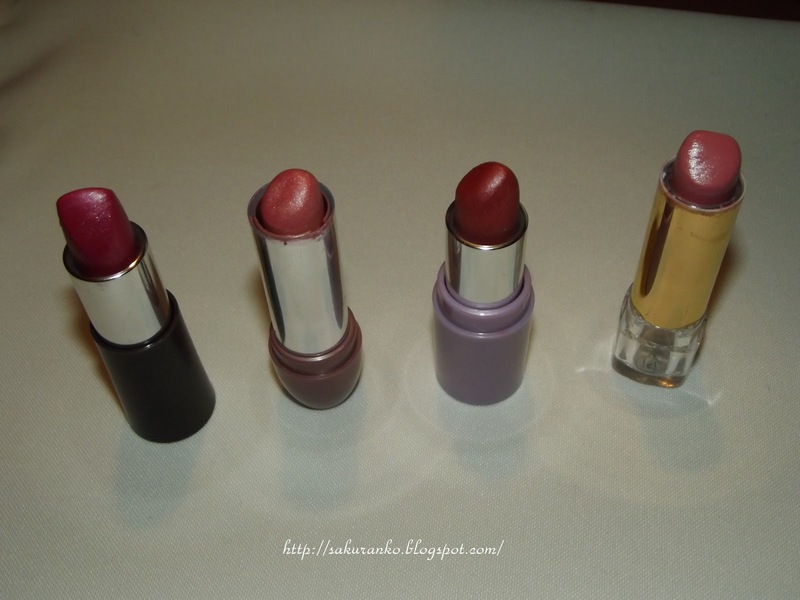 Esika lipstick color Lipstick "Rosa Fiorelle" which is the third from right to left is pretty neutral although the picture is dark. The 4 and the latter that shines with golden was my favorite because it was quite clear and that aspect was innocent and lasted on my lips all day thing I love. 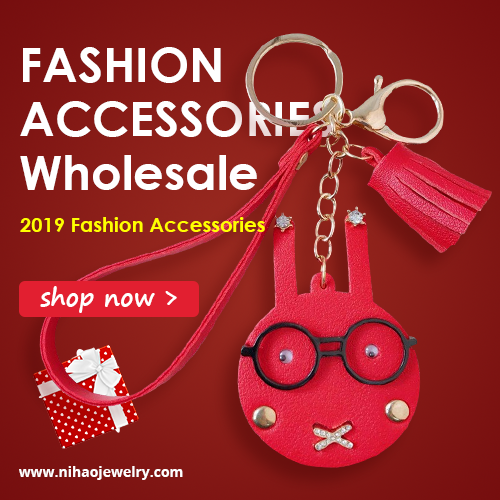 They are local brands or Latin America you may not know. Except for Caisy Lipbalm is of Asian origin., and of course EOS lipbalm. This will put a picture partly because it started using in early October and it's great Caisy although it remains my favorite I love this lipbalm. - Maybelline Instant Age Rewind "Natural "Beige". One of my favorite colors when makeup is pink so these pigments in pink are my favorites. 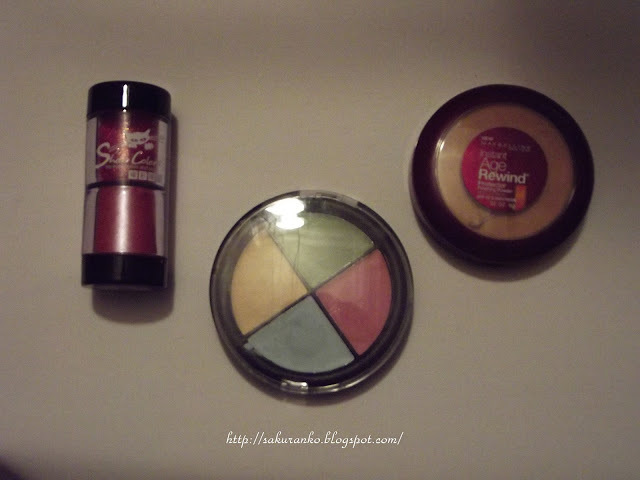 This quartet is perfect cream concealers to cover blemishes and my compact powder Maybelline Instant Age Rewind "Natural" Beige "which is great for removing the shine. 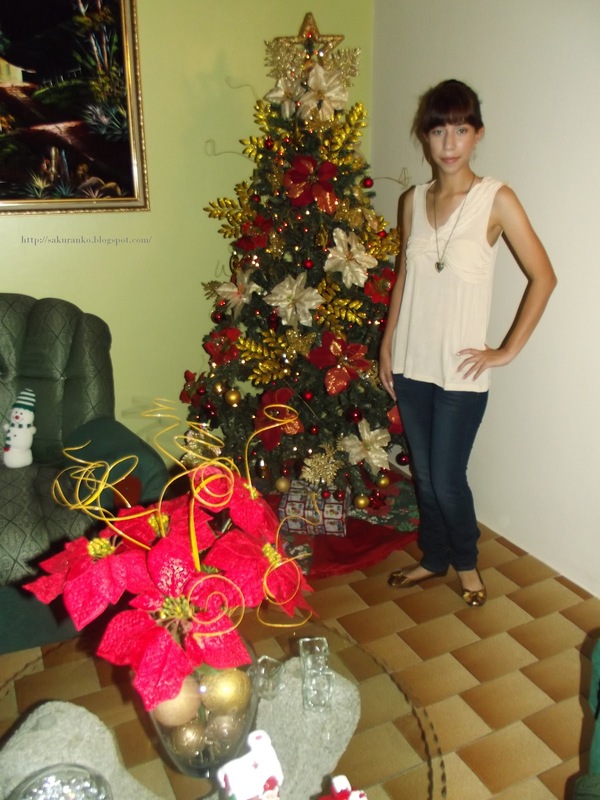 (゜∀゜) Well I hope and pray with all my heart that you have enjoyed this post last year about my favorites. 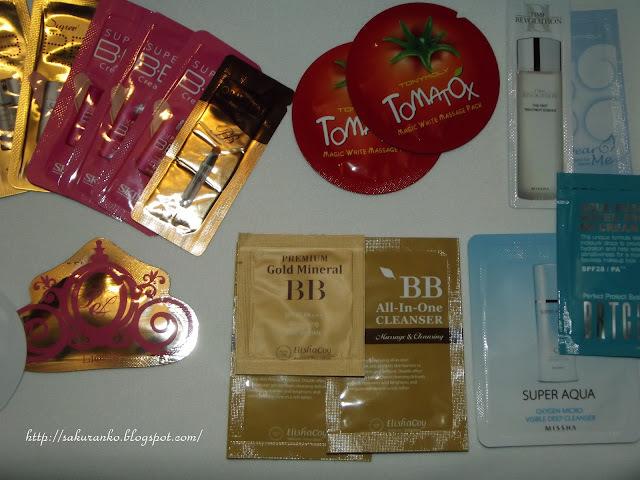 Oh by the way do not forget the samples could take with me to 2013 are mostly Korean product samples for future reviews (all depends on how you take me with them). These are just a few I could find I know there are more in my closet saved but by the end of this post only show those.ヽ(*≧ω≦)ﾉ! Well again I wish to thank all of you who read me my visitors that leave me comments. And they are so sweet and kind. Thank you all who give me advice. I really learned a lot from you and I hope you have learned from me. (´∀｀)♡ Each of you who supported me are amazing and unique. God bless every day and bless your new year. （⌒▽⌒）! Let me tell you a little about Xmas Eve. I woke up at 5 am because a guy came to my house to ask for a borrowed camera as his wife was pregnant was going to have a baby. 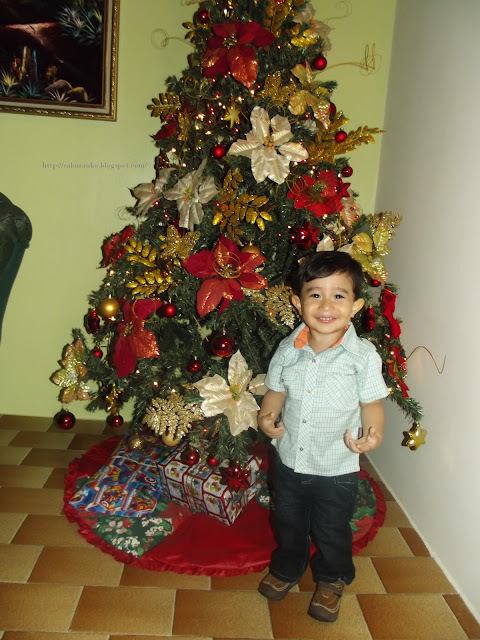 I was with my aunt, my mother and grandmother in a delivery from 9 Am till 2 pm until the doctor who attended the birth said the health of both, it was best that you conduct a caesarean to my aunt. (*≧▽≦)! My makeup one day before Xmas Eve! =_= !! Well tell them that my manicure I made 10 minutes before dressing in a very improvised. 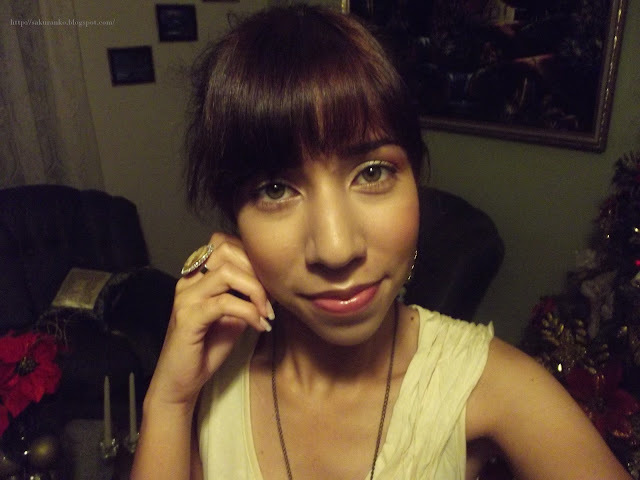 (≧∇≦)/ Well my makeup, s soft and really wanted to not look tired, that was my biggest goal. (￣▽￣)ノ Actually this Xmas Eve was very different but also very special. ◕ ‿◕ Unfortunately this year there was a special Christmas dinner so I told them, but I feel very happy to be happy with my family. I miss my Kokoro is difficult but right and were reported and all day and made it feel better. 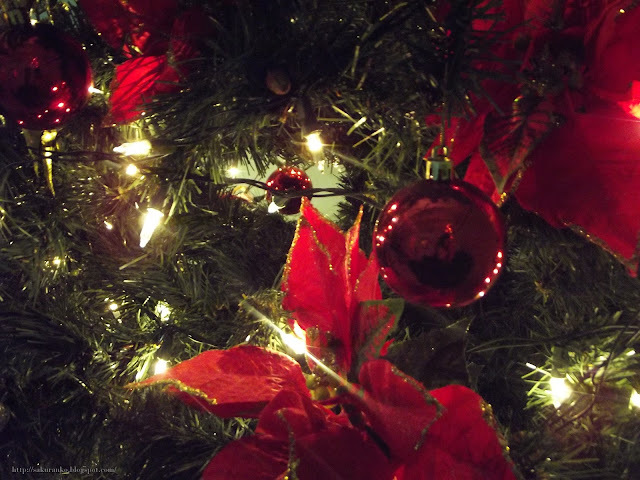 I hope you had a Merry Christmas! Thank you for reading my Blog! God bless you! 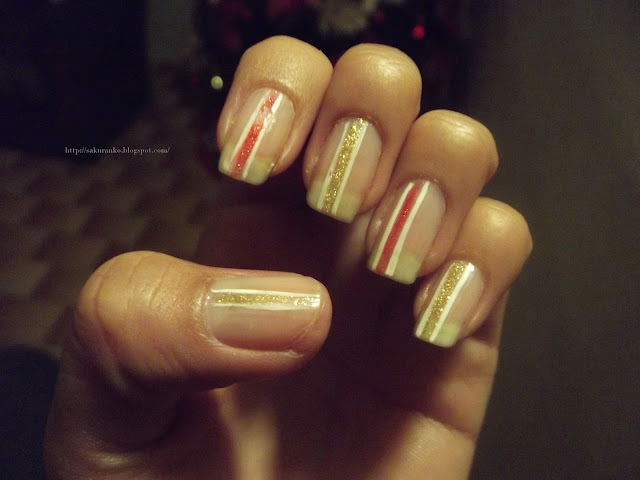 A few days ago I was at home without much to do and decided to get a manicure look like a lattice and found this. (///∇//) I really liked because it is quite delicate, however I'm still too perfectionist and that makes it not look as nice. I really only use 2 glazes, glitter and stickers of flowers. 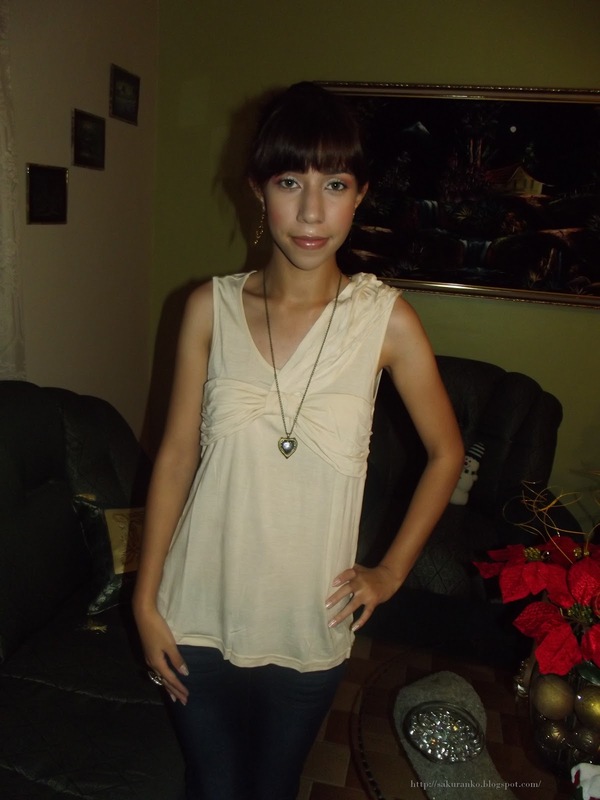 I liked it because I felt like a girl pretty and delicate. Thanks for visiting my blog! God bless you! Today is a very special day for me. Today is the second anniversary of this blog. （*´▽｀*）I feel incredibly happy and special, it's like people say. When you're having fun time flies. Every post I captured a bit of my essence. If anyone thinks you're so vain or public as much makeup and stuff, just because that's me. One of my main passions is makeup. I am thrilled to have such beautiful followers who support me with your comments and suggestions. (///∇//) I discovered that this blog is not just my personal diary but largely it is, I discovered that I can learn from this community. I never expected so many people would have this beautiful and receptivity. Today I hope to celebrate in a sweet and homey this second year although maybe just for me is really important to me has been felt in a wonderful way. Normally I don´t post on my makeup brushes. For in the main because they are not brand and perhaps many of you doubt the quality of them. (///∇//) Perhaps not a recognized brand makeup brushes like Sigma. But I want to show these brushes that I have found a great time without spending a lot of money. Both spent $ 1.75 and really show them because it was a good investment for so little money. (´∀｀)♡ I must admit, I love this brush, because with it I can outline my eyes with eyeliner gel, or define my brows with eyeshadows. With this other part of the brush I can perfectly apply shadows. The cells are very soft despite being synthetic and not lose their shape when washing. Well I want to conclude by saying that we should not spend too much buying brushes, but sometimes buy indicated. Only $ 1.75 and really use it much. I hope this post will find interesting. Thank you very much for reading my post, thanks for the support! 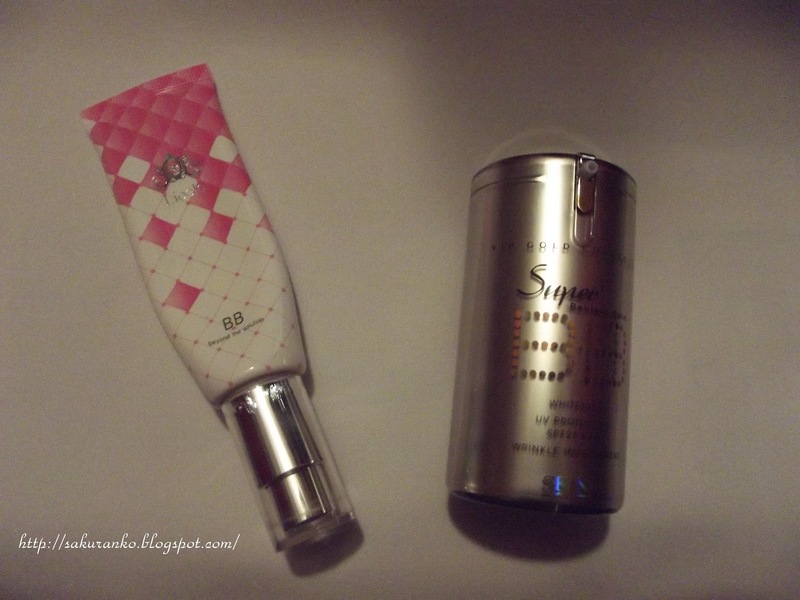 SKIN79 SUPER+ Mini BB Triple Functions Vital Cream "Review"
(^∀^) Today I bring a new review of another SKIN79 BB Cream. This time I bought the miniature version of this, because I did not like at all, the SKIN79 Hot Pink BB Cream there can see the review, I decided not to venture into buying something so big and try to see if this, it says that is designed for oily, it was better than the last. o(´^｀)o I know the name is extremely long and not that convinced me at all, but something that caught my attention is that has a sun protection factor of 50.And like all of his series BB cream are vitamins and natural and organic ingredients. ☆ Packaging: The packaging is an orange box and saw the bottle above, brings a Korean artist named Miryo. Bring the name and presentation. Actually as I know nothing about the K-Pop not only seems normal to me with a picture of an artist. Box Back, They are the girls of a South Korean group called "Brown Eyed Girls"
（　・∀・） I had to research to find out who they were, they had no idea. All in Korean...（　・∀・） on that Side. Why I did buy this BB Cream? In principal, it is designed for oily skin because it helps with the signs of aging like wrinkles, helps skin inelastic, because apparently not clog my pores and it has lightening properties. Well, promises much but have to see if all that say is true. ☆ Price: The price of this Mini BB Cream was $ 4 brings enough because only 5 grams. But since I wanted to try to use it more than I thought themselves well. By the way I bought it at an online store. 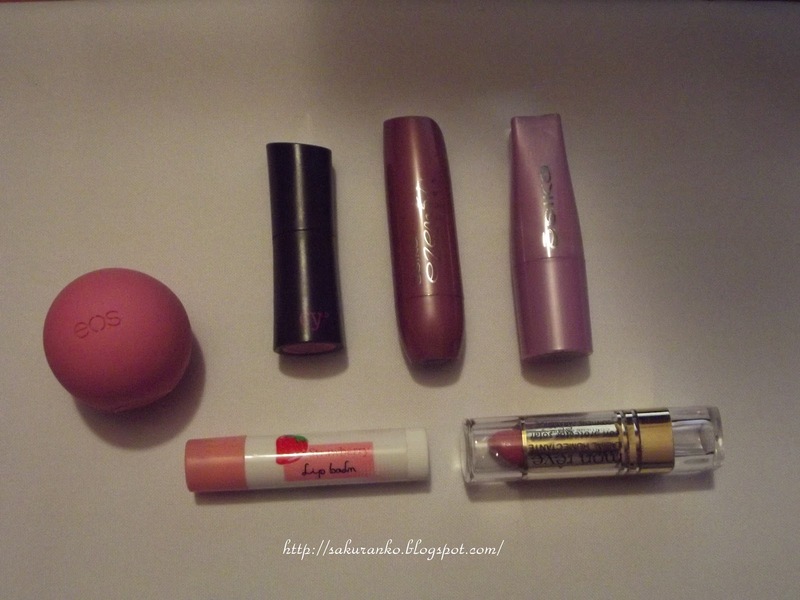 ☆ Texture, Scent and Color: The texture is very creamy, more is neither oily nor too sticky. It has a smooth creamy texture. The beige color is like a medium, I like that, not gray (꒪Д꒪)ノ Its scent is quite pleasant smells natural essences as I like and does not smell too chemical. My skin before without any other product, only washed my skin, really thank that lately I've been more careful my skin and not my hormones have gone crazy as you can see in the photo before despite being my skin nothing has no marks or anything noticeable but obviously my circles under my eyes (which despite being mild) are noted. After using the BB Cream can notice that my skin looks much clearer, if not for its lightening agents but I look much whiter. It has good coverage but is light. It may be noted that despite the photography after being taken is quite noticeable recently my skin matte and more uniform. - It has a protection factor of SPF 50. - Certainly gives a matte finish to the skin after application. - It is noticeable lightening properties from the time of application. - Has vitamins and natural extracts that help the skin. - The matte effect on skin is durable. - It has rapid absorption. - Comes in a unique tone that I can be too white for some skin colors. - The skins are not greasy or dry, may have to use a moisturizer previously it can bequeath to be quite strong. - Unless, you live in South Korea or any country in Asia where there SKIN79 stores can only be purchased online. This BB Cream me I founded excellent in terms, to control by the cutis oily in the face the I used by 8 hours and really my face remained matte by all that time despite the climate tropical and the existing heat. (゜∀゜) Has a long life on the skin which is fine with me has a slight imperfections coverage but can be used very well for those times when you do not need excessive coverage. The fact that I have loved so high FPS. But I did not like the fact that it is quite white, if not for its whitening properties, I like it on the dark circles, I going great but the rest of my skin is too white, much more than I am . So even if I go back to having faith SKIN79 BB Cream and I did not like the fact that the unique tone was so pale. (」゜ロ゜)」Use this BB Cream mixing it with my usual BB Cream Lioele me very well and so I could use it. I do not think of buying a product to have to mix it with another. By the way I'm using it in this picture. Hope this Review was quite informative, here I am giving my sincere opinions. I really hope this can be quite complete and clear idea of how this product is. Hope you find it useful. Thank you for reading my Blog! Thanks for visiting! May God bless you! As it happened with my pendrive was a few days ago my uncle Juan found out my misery (exaggerated drama) and saying nothing surprised me with a new pendrive.（*´▽｀*）!! Is 4GB but I can fend this to buy one of greater capacity. And I really feel very relieved (because even though I left and university holidays) memories and always use pendrive. I'm really excited and happy this is my first post, the most beautiful month of the Year December ~ ~ ヾ(*▽*) Wow four days since my last post I think it's too long, but in reality it is not. I've been quite busy (this week is my last week at the College and I am taking my midterms) has really done well but has kept me pretty busy. 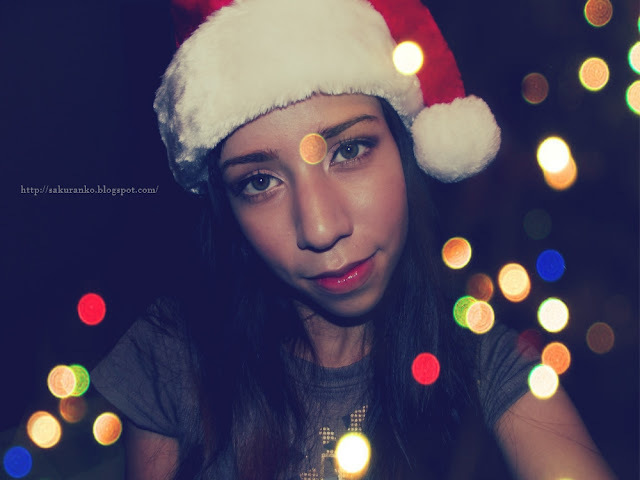 I sincerely hope enjoy a lot in this month, this is only the first of many posts I will do in this beautiful month, to all my readers I will be following your blogs bloggers closely to see how you enjoy in this month (I hope so) .  (///∇//) Thank you very much for visiting my blog, thanks for the support, God Bless! EOS Lip Balm "Strawberry Sorbet"
Today I want to do a review on this amazing product, which is a great lip balm ヾ(☆▽☆), lip balm usually use much because my lips get dry very easily due to the sun and the breeze, and if burning crack. For this reason I am always buying lipbalm. This product can be purchased through an eBay store. 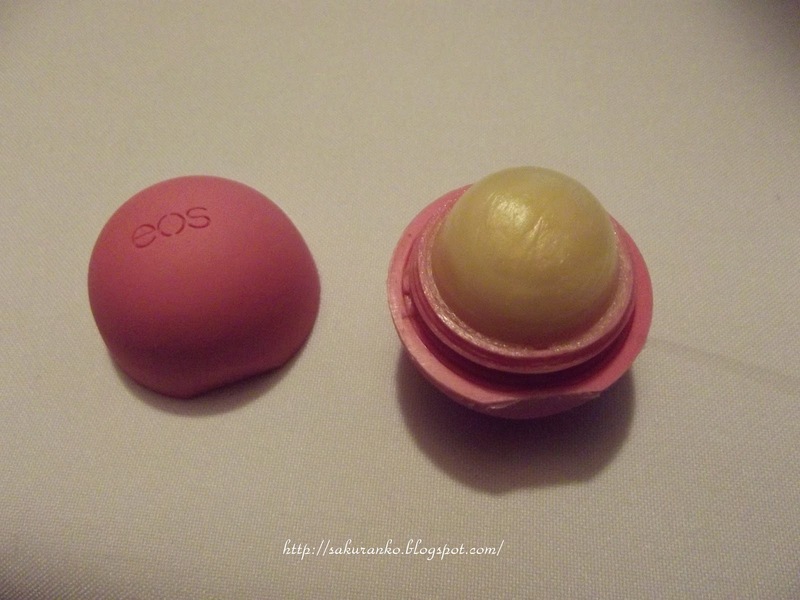 I must admit it was great because in the EOS page no shipping to my country and it cost me $ 4. Means Evolution of Smooth, EOS and also is the name of a brand that is dedicated to creating 100% organic products that help maintain incredible softness all its products as the hallmark of "USDA Organic." I bought the flavor of "Strawberry Sorbet" because the strawberry is my favorite fruit and pink is definitely my favorite color. o(≧▽≦)o There you can see her little pink container is fully well that certainly is lovely. Its flavor is very subtle and soft, like strawberry. The texture is very smooth as a lip balm is oily but rather as a cream moisturizer very soft. .♥ I must say I love this product because it is a product that moisturizes the lips without leaving them greasy and that lasts for several hours wetting a part that is a 100% organic which makes it not only effective but also reliable and healthy. Definitely would buy maybe another flavor to try. (ﾉ´∀｀*)ﾉ that's me, there can see what is small and practical. 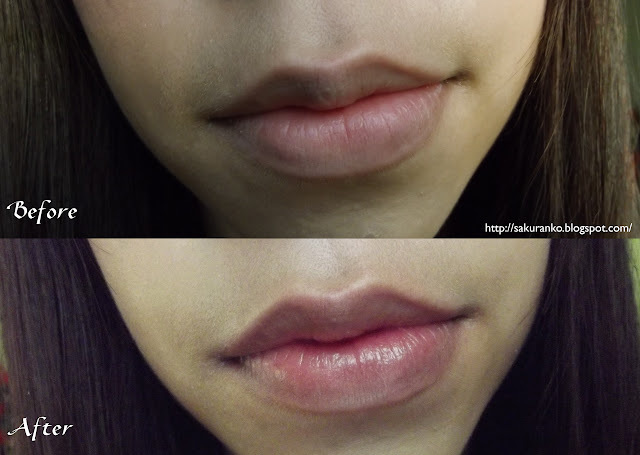 Something I forgot to tell you is that its spherical shape fits perfectly to the lips. （￣□￣；） A photograph of me at 6 Am I must say that at that time, just before going to college was I took the pictures to test this product because the morning is when I have absolutely nothing at all on my lips because I have always lip balm because my lips are sensitive.